Uniquely designed sculpture in a three dimensional modern style. 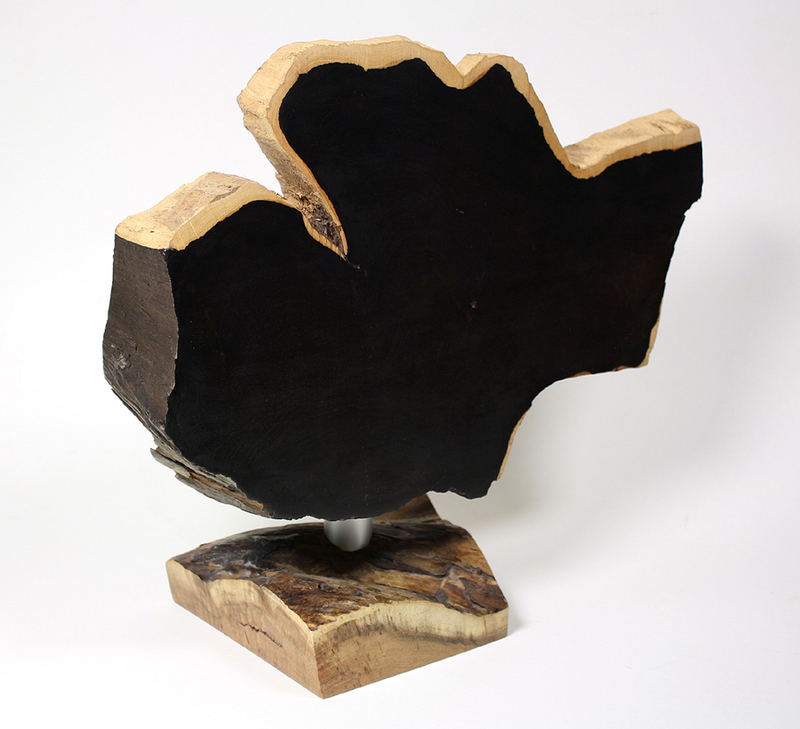 This sculpture is a cross-section; of an African blackwood tree which includes the lighter live edge or bark portion. The natural organic shape of the sculpture displays the beauty which nature has provided us. The base of the sculpture is sliced from a mesquite tree and outlines the natural growth rings which have accumulated over time. Meticulous attention is provided to detail and finishing. The wood is not stained and attains a natural patina over time and with exposure to ambient light. Finished with multiple coats of thinned shellac and polished.